I came across this amazing soup at a restaurant a few years ago while traveling. I absolutely fell in love with it. It is the most flavorful delicious soup! It reminds me a bit of the traditional Italian wedding soup with the tiny meat balls I would say that Albóndigas Soup is the Spanish take on it . This version is far heartier than those token bowls of albóndigas soup I got at restaurants. Loaded with vegetables and a good amount of spice, I couldn’t wait for it to finish cooking. 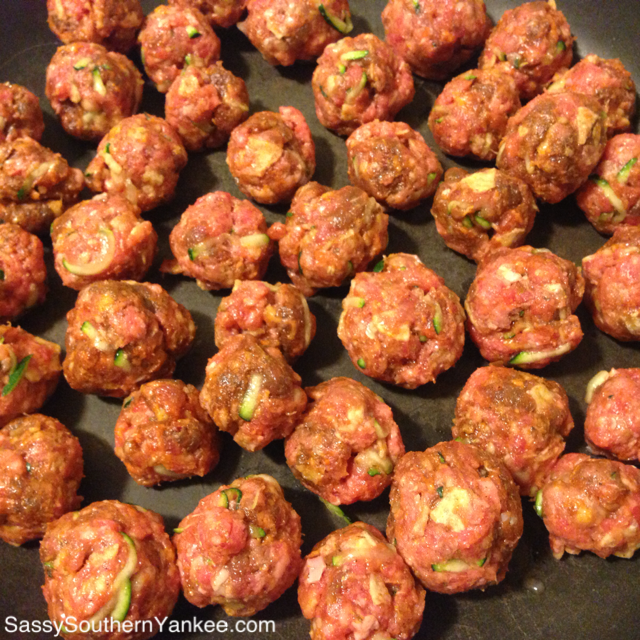 The meatballs are made with beef and pork, but the book says there are some variations depending on region. You could use chicken instead of beef, and some meatballs are wrapped around a pitted green olive. Instead of a crumbled corn tortilla, you could use rice, cornmeal, or breadcrumbs for the binding agent. Some regions add macaroni to the soup rather than rice. So it appears that anything goes – as long as it goes in your belleh. Lets get started on our amazing Albóndigas Soup. Heat the oil in a large stock pot over medium heat and sauté the onion, garlic, oregano, and cumin until onions are soft. 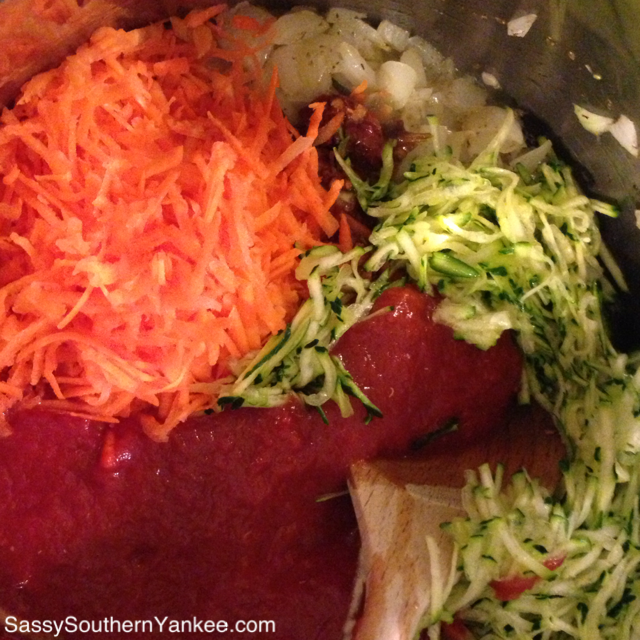 Add the beef stock, tomatoes, chipotle, carrots, zucchini, and salt. Bring to a boil then reduce to a simmer (medium-low heat) for 20 minutes. * If you haven’t cooked with chipotle chilies before I would recommend starting with one and then adding more the next day if you find the soup too bland. The flavors really come together the next day and the chipotle flavor intensifies as it sits. 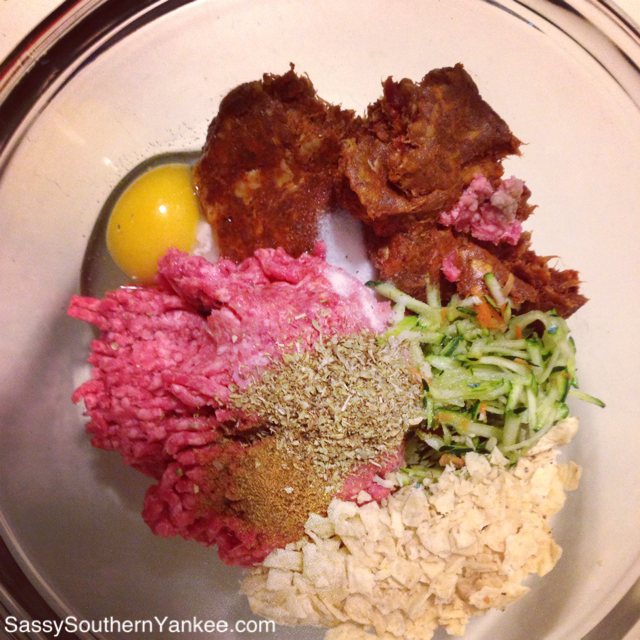 Make the Albóndigas: Combine all of the meatball ingredients in a bowl and mix well. Pinch off about a tablespoon of filling and roll it into a ball about 3/4-inch in diameter. Bring 2-3 inches of water to a boil in a medium to large saucepan. Add the meatballs and boil for 3-4 minutes (this is for reducing some of the grease). Drain the meatballs and discard the water. Add the meatballs, and rice to the soup and simmer for another 30 minutes. Let that simmer for 30 minutes and you’re golden! Serve hot and garnish with chopped fresh cilantro and mint. Serves 6. This hearty and healthy Albóndigas Soup is the perfect dinner or lunch! Heat the oil in a large stock pot over medium heat and sauté the onion, garlic, oregano, and cumin until onions are soft. Add the beef stock, tomatoes, chipotle, carrots, zucchini, and salt. Bring to a boil then reduce to a simmer (medium-low heat) for 20 minutes. * If you haven't cooked with chipotle chilies before I would recommend starting with one and then adding more the next day if you find the soup too bland. The flavors really come together the next day and the chipotle flavor intensifies as it sits. Make the Albóndigas: Combine all of the meatball ingredients in a bowl and mix well. Pinch off about a tablespoon of filling and roll it into a ball about ¾-inch in diameter. 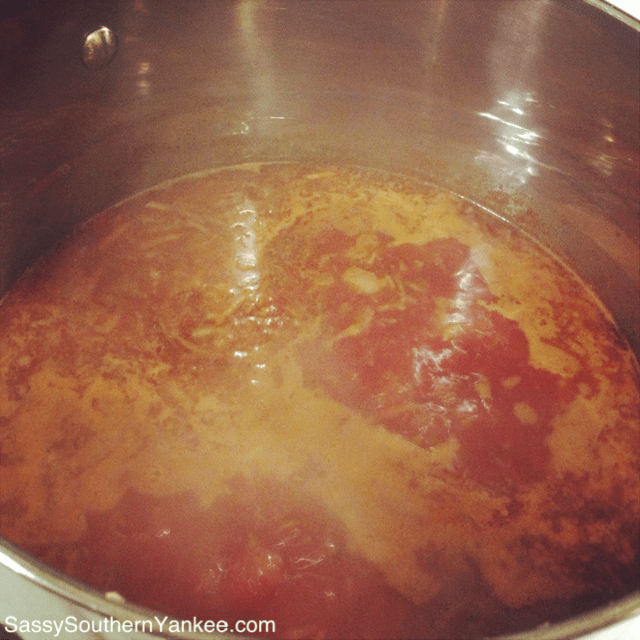 Bring 2-3 inches of water to a boil in a medium to large saucepan. Add the meatballs and boil for 3-4 minutes (this is for reducing some of the grease). Drain the meatballs and discard the water. Add the meatballs, and rice to the soup and simmer for another 30 minutes. 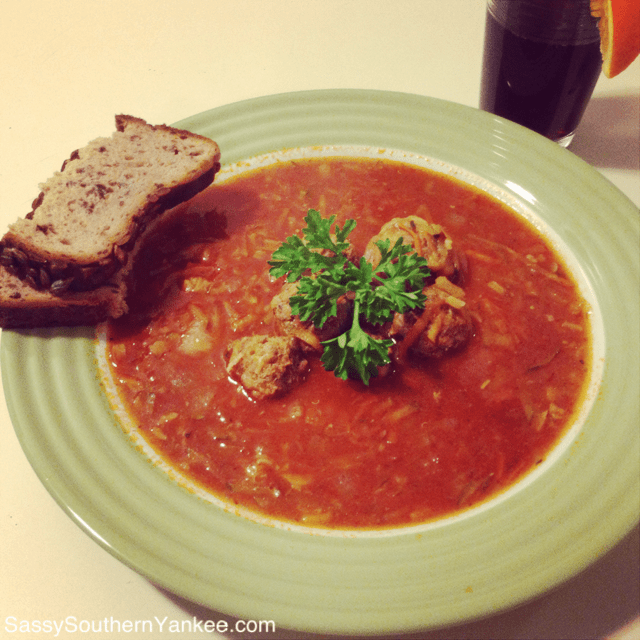 This entry was posted in Soup and tagged Albóndigas Soup, beef, carrots, chipotle chilies, chorizo, Easy Dinners, Gluten Free, Meat Balls, Mexican Soup, Onions, rice, Soup, tomatoes.